Hey everyone, hope your weekend is going well so far. Just finished up in Florence and was blessed to have the chance to attend Pitti Uomo 90 and peacock with best of the best from around the world in menswear. At the end of the day I was just happy to make it to Florence after some technical difficulties with travel and missed the first day of activities at Pitti. We made the best of our time in Florence and it was great to see old friends from around the world who feel like brothers to me. Pitti is always a huge show with amazing suiting and the most popular faces in menswear. This was my first time attending the summer version of Pitti and it was boiling hot outside (about 85 degrees). With the weather this hot everyone was wearing linen and cotton blends. I chose to wear white pants which are a Pitti favorite and a sky blue peak lapel jacket. I tried to spice things up a bit with some driving moccasins from Cole Haan. Surprisingly enough there were not too many over the top outfits with highlighter colors and people trying to grab all the attention. Most outfits were actually conservative and very simple. The color pallet was blues, browns, off white and greens. P.S. 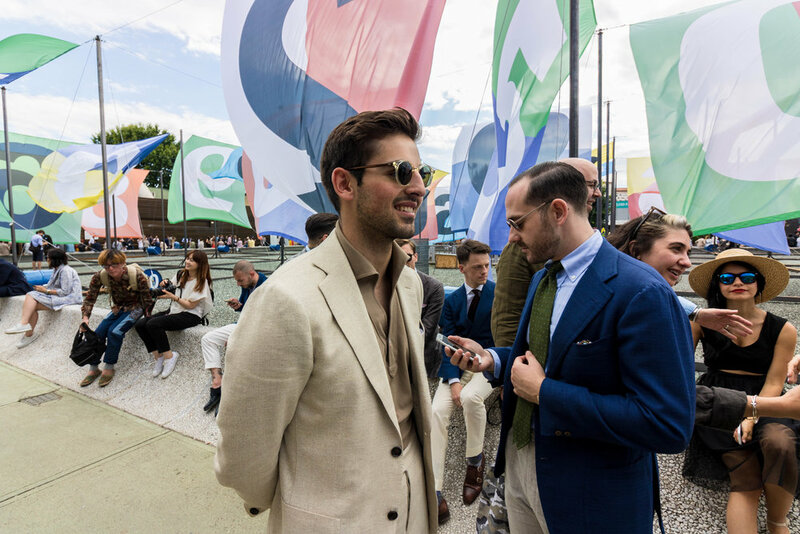 Check out the squad goals from a recent snap on GQ with a few of the guys from Pitti and myself. Click here. 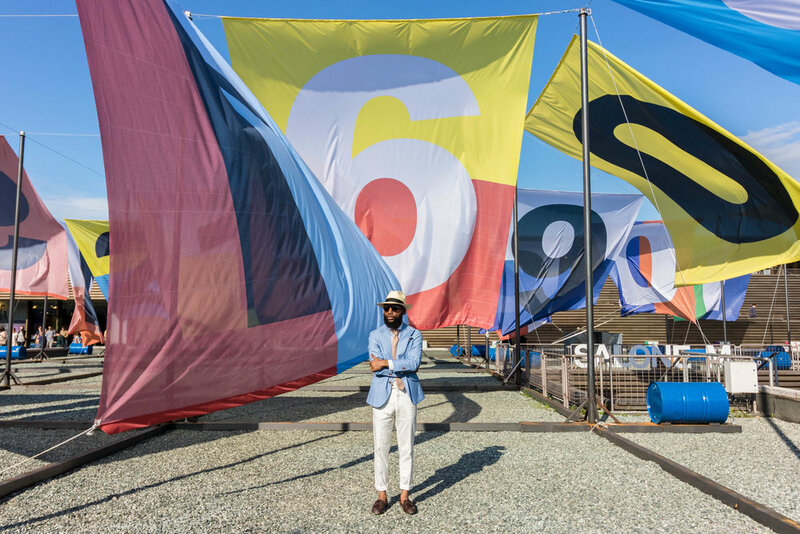 A few words on trends that I saw while at Pitti and my predictions for the next few seasons. Form Fitting Suits (not too tight): This is a tricky one, everyone now is worried about their suit being extremely tight and almost perfect. At Pitti I am seeing suits moving away from being extremely tight to being more form fitting and breathable. Still much slimmer than the old parachute suits worn by older business man.